Confident Dental and Skin Care Clinic provides an array of orthodontic treatments for adults and children that are designed to straighten the teeth, correct bite issues, and address other problems that might have arisen from the form and function of the teeth. With many different treatment options, we can help you or your child fix orthodontic problems and prevent future dental issues. At the clinic, we offer a range of orthodontic treatments for adults who are looking to straighten misaligned teeth and correct over and under bites. 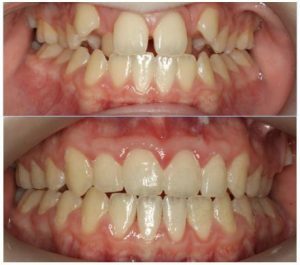 Orthodontics not only improve the look of your teeth, but can also prevent further damaging effects that crooked teeth and over/underbites can cause. 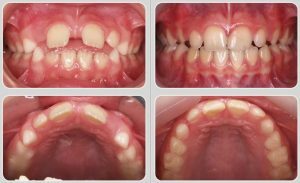 If your child is showing signs of orthodontic problems when their adult teeth are erupting, then it’s a good time to book an evaluation with one of our dental experts to determine if treatment is needed to prevent further damage and misalignment. Confident Dental and Skin Care Clinic is a certified provider of clear aligners. 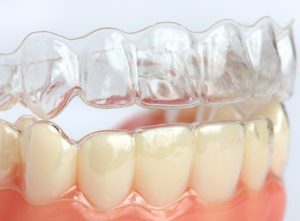 These clear teeth aligners are primarily for use by adults and offer a more comfortable and discreet way of straightening your teeth.